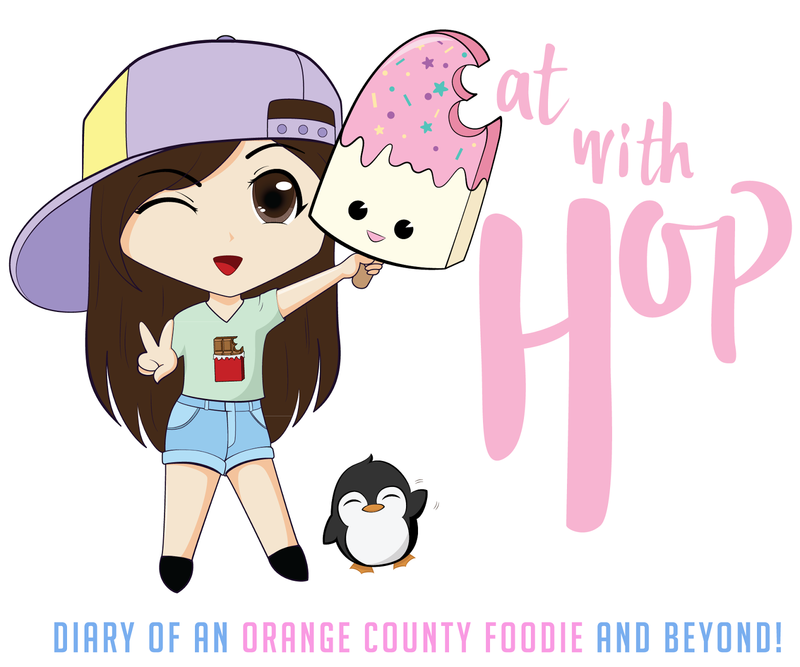 HELLO KITTY TRUCK RETURNS TO IRVINE SPECTRUM MAY 23, 2015 - EAT WITH HOP! HERE ARE SOME THROWBACK PHOTOS OF WHEN I WENT TO THE FIRST HELLO KITTY TRUCK EVENT AT IRVINE SPECTRUM LAST WINTER (2014). THE CAKES AND DONUTS ARE SO SO SO KAWAII! DON'T CHA THINK? 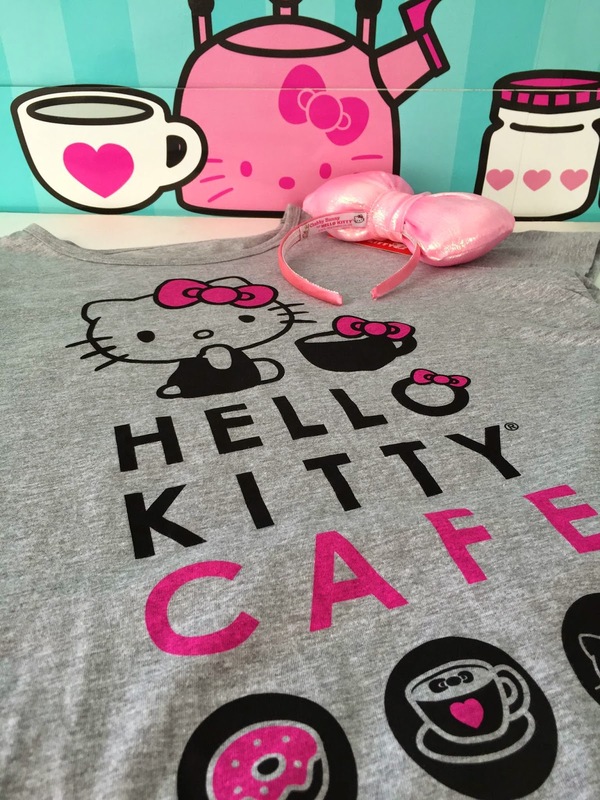 HERE ARE THE NEW ITEMS AVAILABLE AT THE HELLO KITTY TRUCK THIS SATURDAY! THIS SHIRT IS ALSO AVAILABLE THIS SATURDAY TOO! The Hello Kitty Truck will be at the Irvine Spectrum this Saturday, May 23rd from 10am - 9pm. I am quite excited for it because even though I'm not a huge fan of Hello Kitty, I'm a huge fan of kawaii food! And the sweets they serve are definitely too too kawaii! I went last year with a good friend of mine and was not disappointed. I didn't even go that early either and the line was about 20 minutes. It starts at 10am but I went around 12 / 1pm ish. 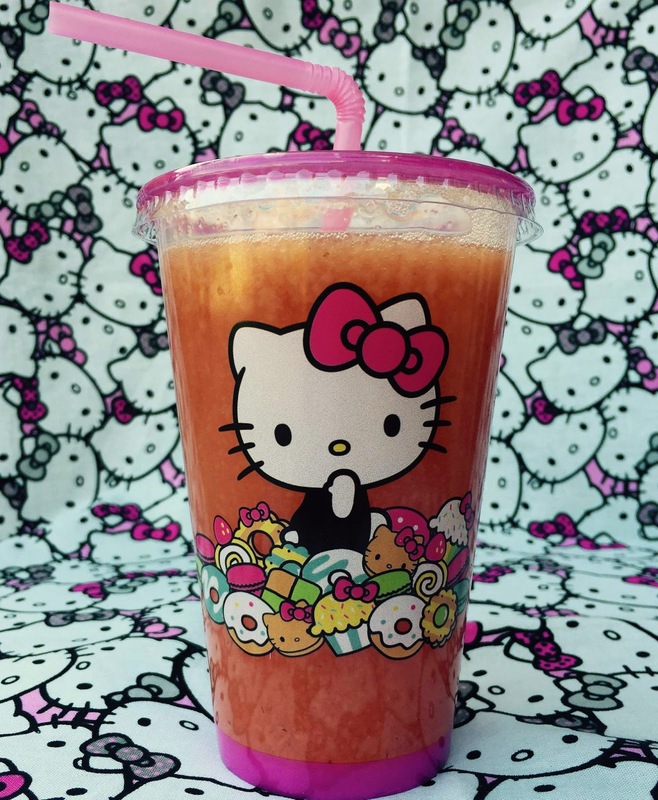 It's definitely a must if you're a Hello Kitty fan because you can buy exclusive Hello Kitty souvenir cups and such! I will probably be missing out this year but from what I saw at the Ssan Francisco event, the cakes and donuts look the same and it was only a few weeks ago. Maybe they don't change the food items but only add more like the Strawberry Lemonade? The donuts are totally worth it in my opinion because they are actually good tasting and kawaii. The mini cakes are worth it if you wanna feed only your eyes. The mini cakes were aiight and kind of tasted like fake frosting and plastic and I ate it right away too. They weren't really flavorful either. So, if you're on a budget because the prices are expensive ... Hello Kitty ain't cheap yannoe, then I suggest the donuts. But, if the food items are totally different this time then well... nevermind. Lemme know how the food is and I'll probably still be jealous of all it's kawaii goodness even if it doesn't taste great.